Being in Shanghai is already a fantastic nightlife experience, and whether you are walking at night through The Bund, Pudong, or navigate the Huangpu River, the pleasure is guaranteed. French Concession is also interesting at night, due to the long walks you may take, but also because of the many popular bars. In this part of the city some of the first bars in Shanghai were opened, and remained a trademark of the French Concession up to the present day. Nanjing East Road may be interesting for those who like to combine evening walks along pedestrian streets with shopping. 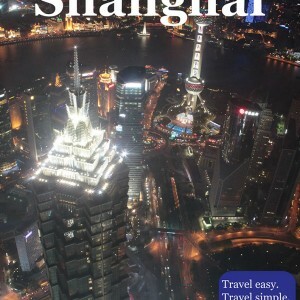 However, nightlife in Shanghai is not just based on night walks, many bars, pubs and nightclubs. Shanghai may not have so many options for cultural night entertainment as Beijing, and nightclubs as Hong Kong, but it is the city where each night owl will find something to do. Here you may find everything, from modern Western clubs with popular music, to some fancy restaurants with delicious food, but also, the traditional aspect of China is not neglected as well, so there are many places where Chinese spirit may be felt. If you like dancing, you will definitely find places to fulfil your needs, and if you prefer sitting quietly with a good drink and food, you will also not be disappointed. Most bars and nightclubs are closed up to 2 or 3 o’clock in the morning, and the happy hour usually starts in the afternoon and lasts until 20:00. Address: 479 Wuding Lu (武定路479号) – – Check website for more locations around the city.